Thank you all so much for your beautiful creations for the FLOWERS challenge!! 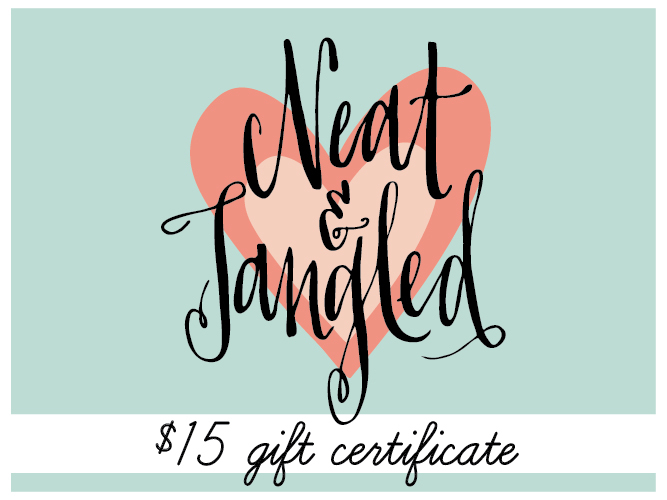 Mother's Day is May13th 2018, so go ahead and make your mom happy! 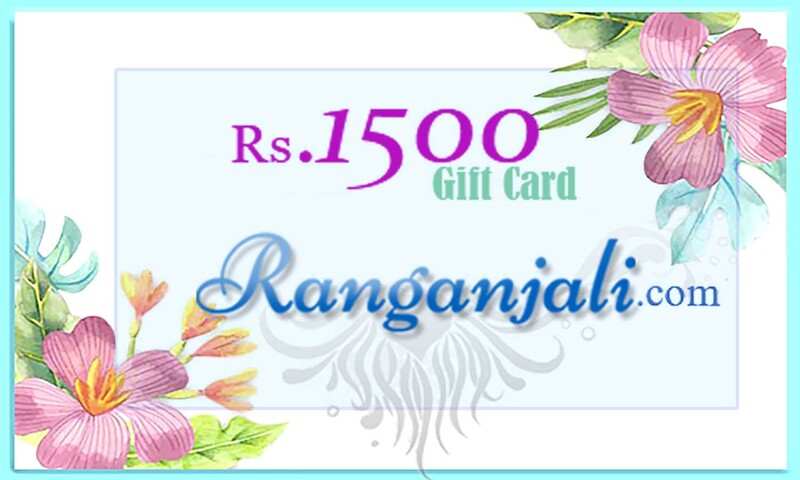 I have made a few cards to inspire you today..
For the first card, I have used products I bought from my wonderful sponsor Ranganjali's store. The Altenew stamp set 'Beautiful lady' and the weave embossing folder from Darice. I stamped and embossed the floral image in white and coloured it in using Steadler watercolour pencils. I then stamped the sentiment from Craftangles and added some white acrylic paint splatter. These images go perfectly with the theme, don't you think? I started by stamping the floral,cross stitch and heart stamps to create a wreath. I then cut apart the sentiment stamps in the set to create a custom sentiment. 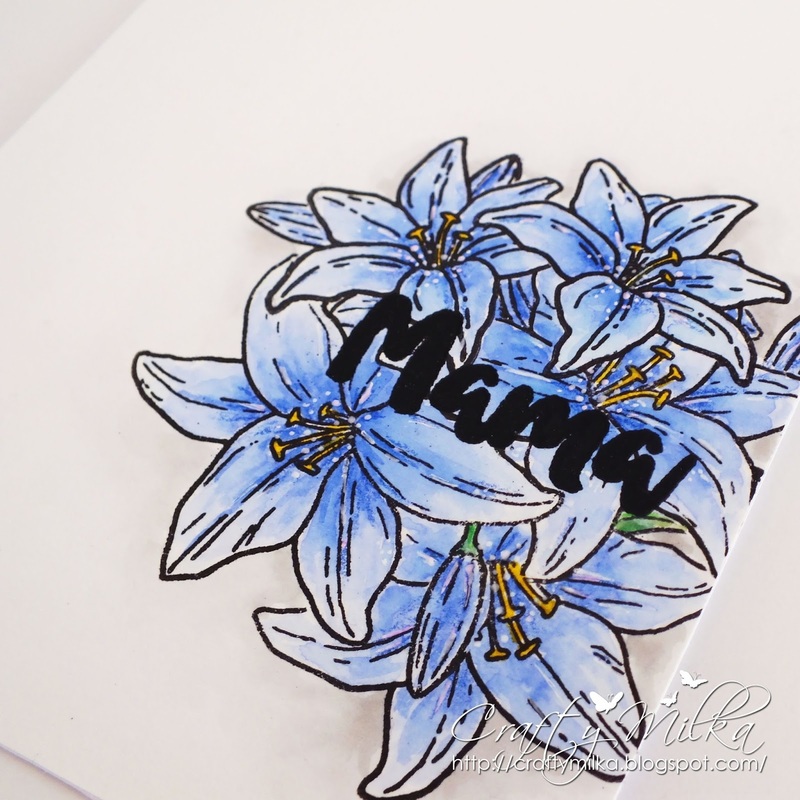 I coloured the 'Mom' die cut (Simon Says Stamp) using Tim Holtz 'Worn Lipstick' distress oxide, and also the pretty flowers. I then water coloured the leaves and created an ink smooshed background using the same distress oxide. I then die cut the panel using Simon Says Stamp stitched rectangle dies and added it to black card base. The dark card base really makes the panel pop no? The third card, I think is my favourite! I was inspired by some cards I saw on Instagram and Pinterest. I started with a red card base. I then took a piece of white square card and stencilled it with Memento 'Dandelion' ink and Craftangles 'rays' stencil. I then used my EK Success shoe punch to punch out a pair of shoes in red and many in black. I cut out the black heels from one pair and paper pieced it onto the red shoe. I then layered the black shoes below the red shoe to give them some dimension. I placed them to look like they were clicking their heels and added the printed out sentiment across the panel. I added the Grandma die cut (from Simon Says Stamp) to finish the card. 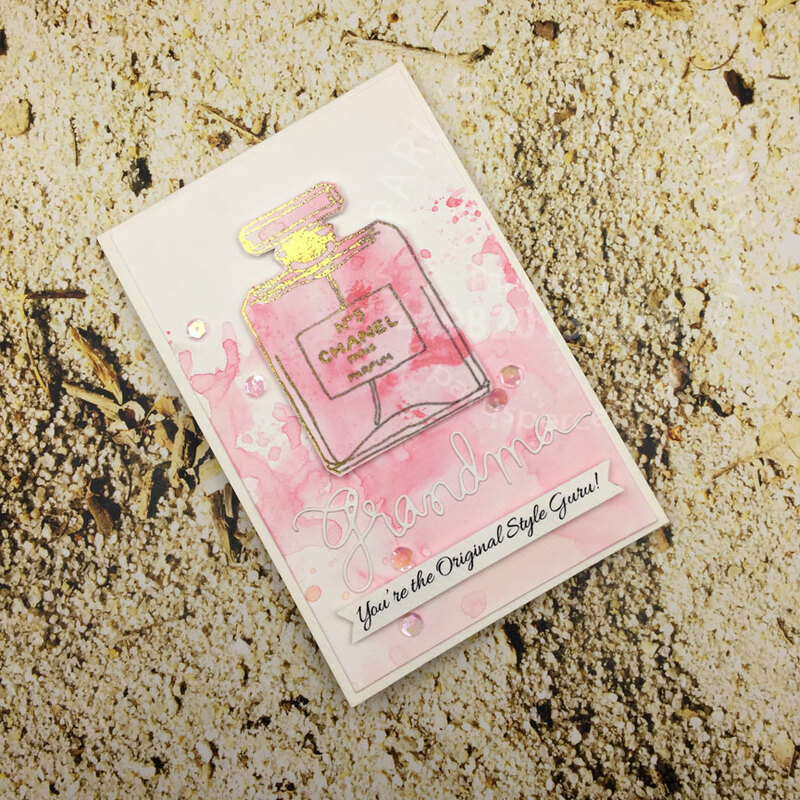 For the next card, I started out with a print out of a free digi of a Chanel perfune bottle. I then used Heidi Swapp's minc gold foil to foil the image. 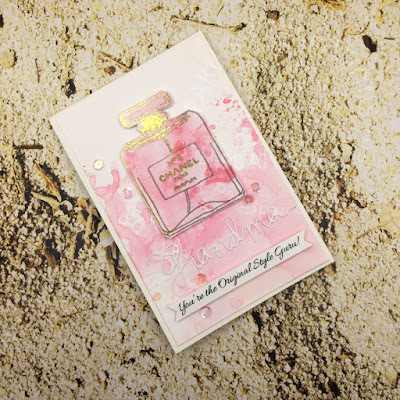 I then used the ink smooshing technique with Tim Holtz distress oxide (Worn Lipstick) to create the background..on the bottle and the background. I then fussy cut the bottle and added some fun foam to give it some dimension when adhered to the background. 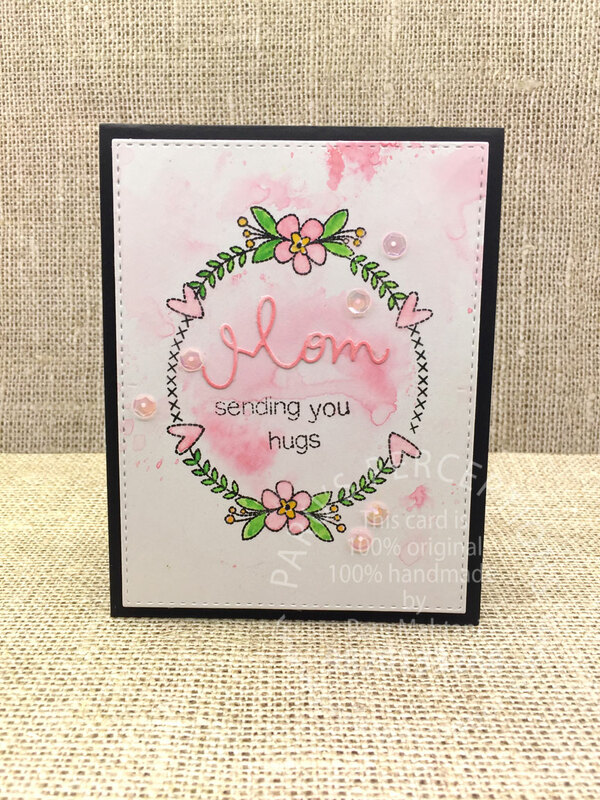 I added the Grandma die cut from Simon Says Stamp, the printed sentiment and some 'Pink Cupcake' sequins from Craftangles to finish the card. I am submitting my cards for the Simon Says Stamp Wednesday Challenge (anything goes). 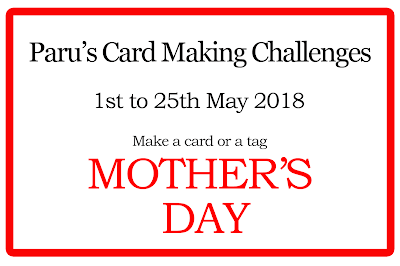 which challenges you to incorporate math into card making! 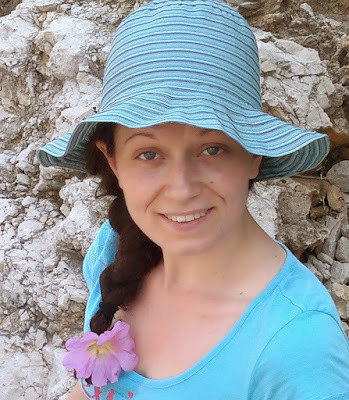 My name is Milka, crafter and card maker from Croatia. I work as primary school teacher, teaching Mathematics and Physics. I love my job!! I craft since I can remember. Coloring, card making, hand lettering, sketching, origami folding, crocheting, knitting, modeling, photographing, gardening, reading... all the things I enjoy a lot. Since 2014, most of my crafting is card making. My favorite design is CAS (clean and simple design), my favorite coloring technique watercolor, my favorite coloring medium Distress Inks and favorite technique heat embossing. 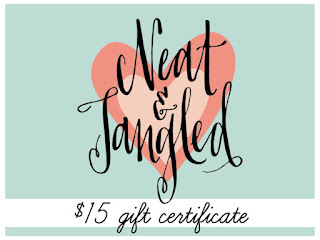 I’m a part of several design teams and occasionally invited to guest on other blogs. I also run my own challenge. 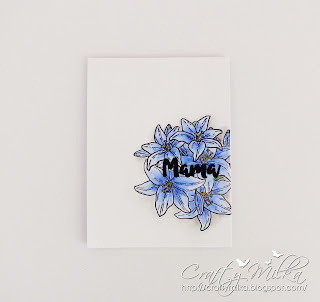 For more details about me, visit my blog Crafty Milka (https://craftymilka.blogspot.hr/). 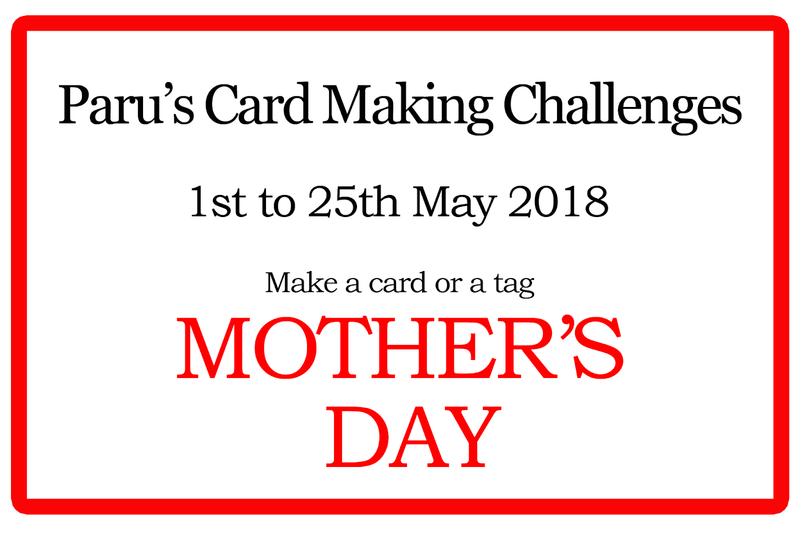 I was overwhelmed when Paru invited me to join her in this month’s challenge: Mother’s Day. Wonderful theme!!! I decided to incorporate all my mentioned above favorites in to my projects. 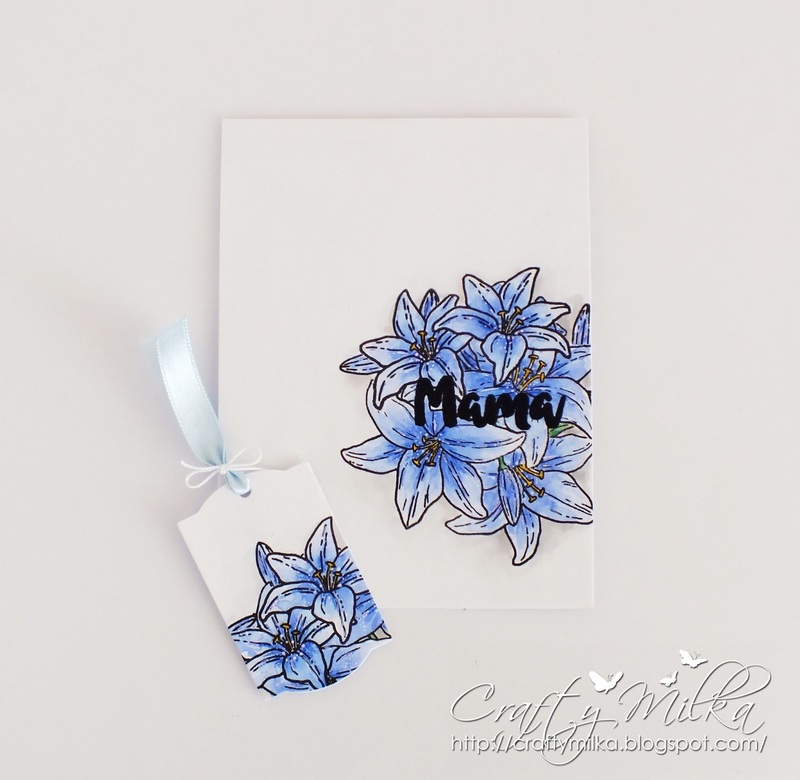 I made both, a card and a tag, for my mom. I’ll send these to her this week, just to get them prior Mother’s Day. 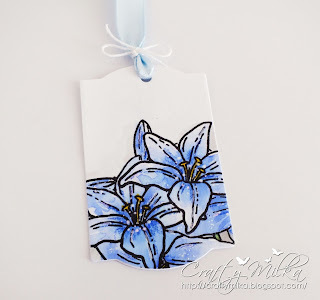 With some masking, I stamped lilies on a watercolor paper panel and colored them in watercolor technique using Distress Inks. After drying, I added some shades onto petals with colored pencils. Then I heat embossed in black word ‘Mama’, which is Croatian for mom. 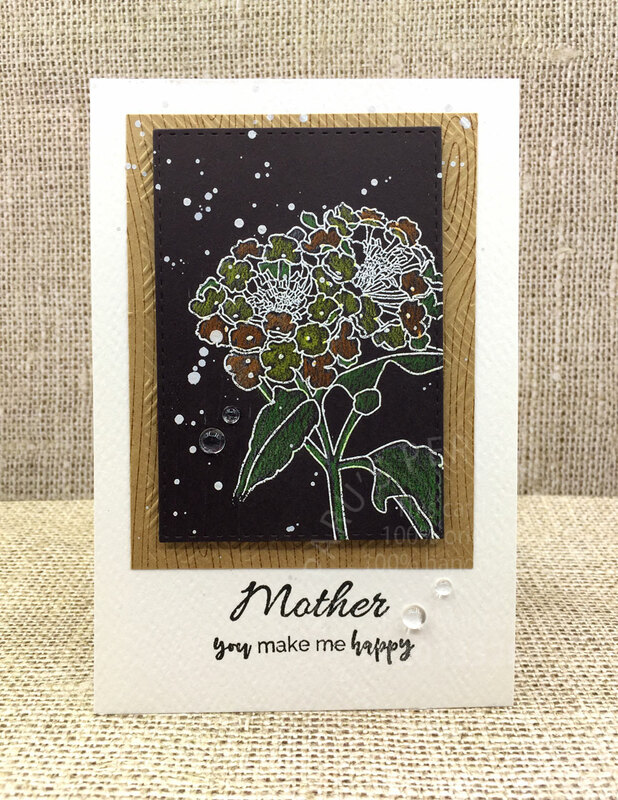 I glued the panel on a card base, added some white dots and highlights with white gel pen and my card was finished. Next up was the tag. I don’t make tags often, so this was quite a challenge for me. 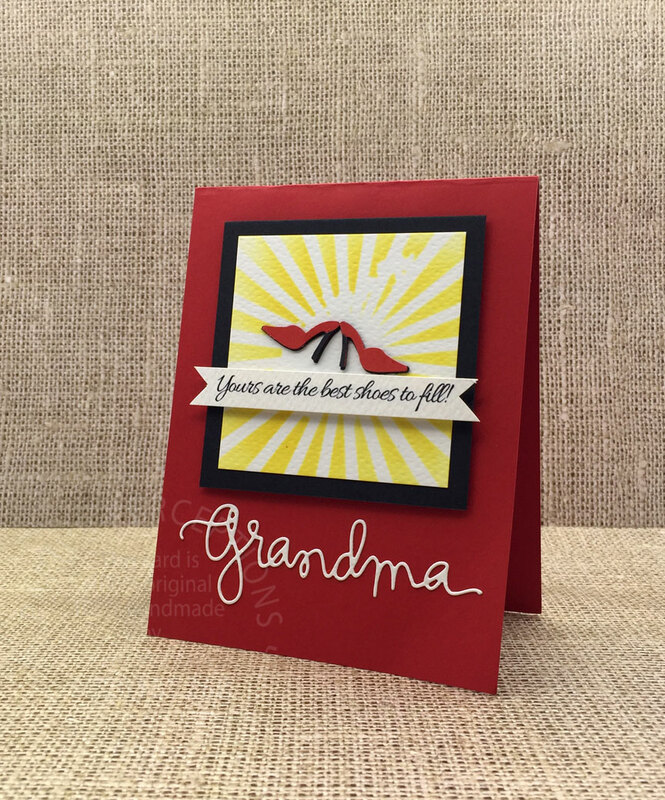 The simplest way to deal with this challenge was to go with same design as on the card. I did everything same as on the card, just skipped heat embossing. 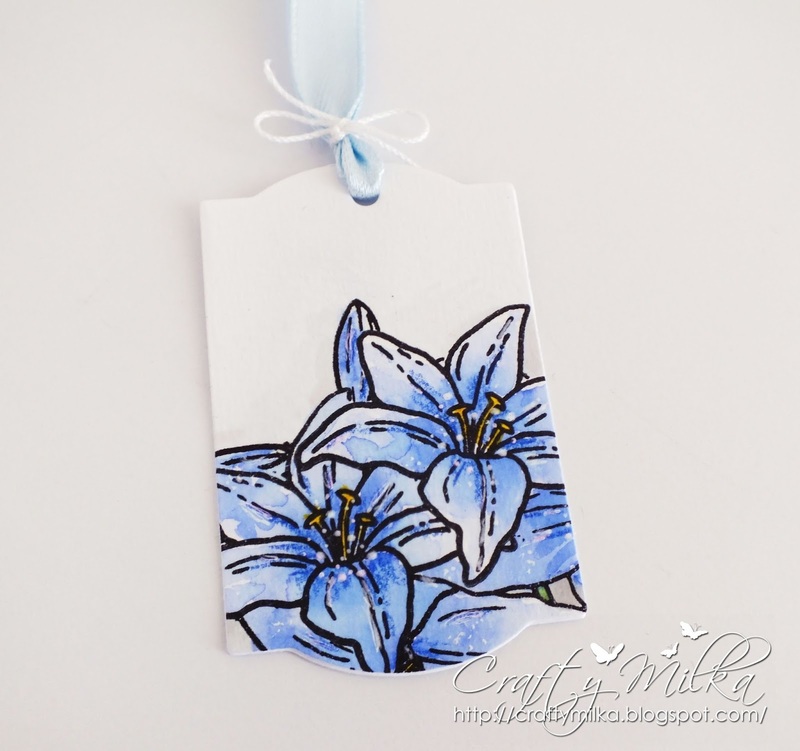 After coloring and drying, I cut the tag shape on my die-cutting machine, punched a hole in a tag, added some ribbon and my tag was finished. If you would like to find out more about products I used in my projects, please visit my blog. Thank you so much for having me Paru!! 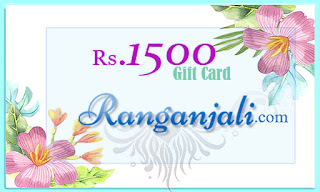 The winners will be announced on the 28th of May. Oh Gorgeous work Paru ma'am..and to see Milka here as guest..is great. 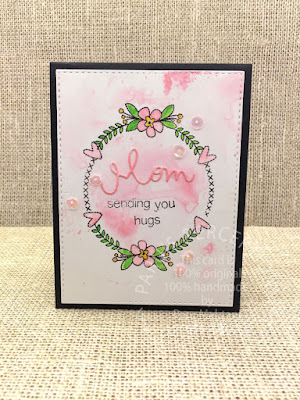 I have been her fan.. since the beginning of my card making journey. I simply loooove these cards. :) They look extremely professional and awe inspiring. Wow. Fabulous inspirations and wonderful sponsors. Thanks. Wonderful makes, girls and have happy mother's day!